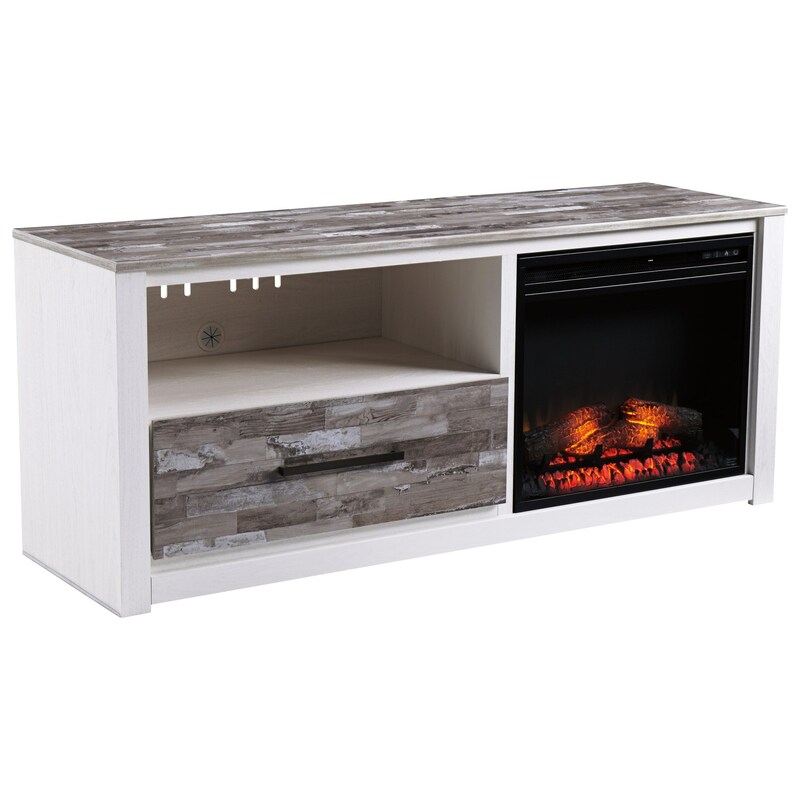 This large, relaxed vintage TV stand will look and feel great in any living room space. 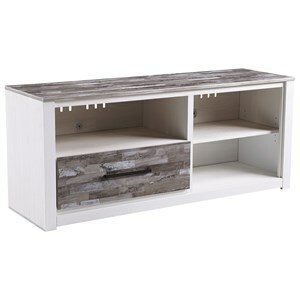 The mixture of a vintage white finish and replicated gray woodgrain block pattern on the drawer front and tabletop gives this piece its unique character, and the large drawer and open shelf provide ample storage for all your media items. Cozy up in front of the television and enjoy the warmth of the realistic-looking built-in LED fireplace. The Evanni Large TV Stand with LED Fireplace by Ashley Signature Design at Rooms and Rest in the Mankato, Austin, New Ulm, Southern Minnesota area. Product availability may vary. Contact us for the most current availability on this product. Browse other items in the Evanni collection from Rooms and Rest in the Mankato, Austin, New Ulm, Southern Minnesota area.